This absolutely charming portrait painting is by noted British portrait artist Frank Percy Wild. 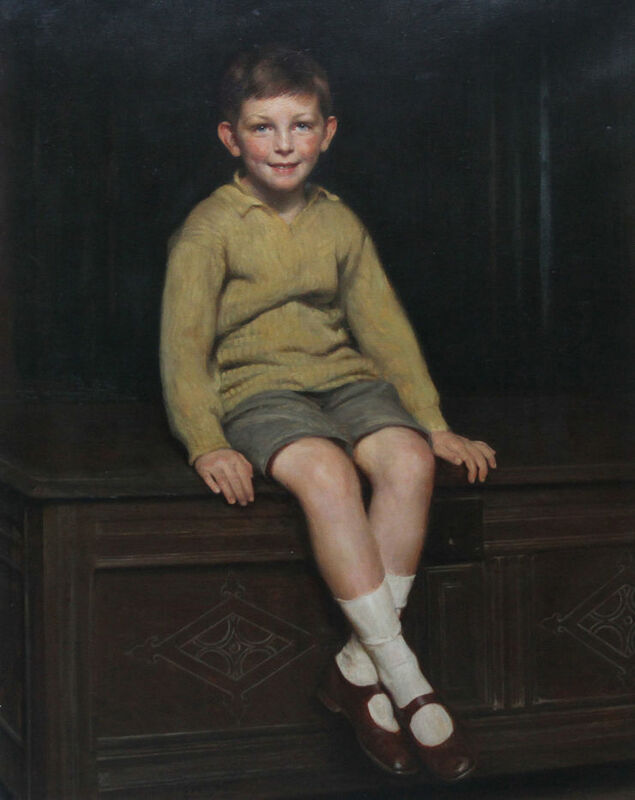 Painted circa 1920 in a very realist manner there is great life like detail in the little boys face. 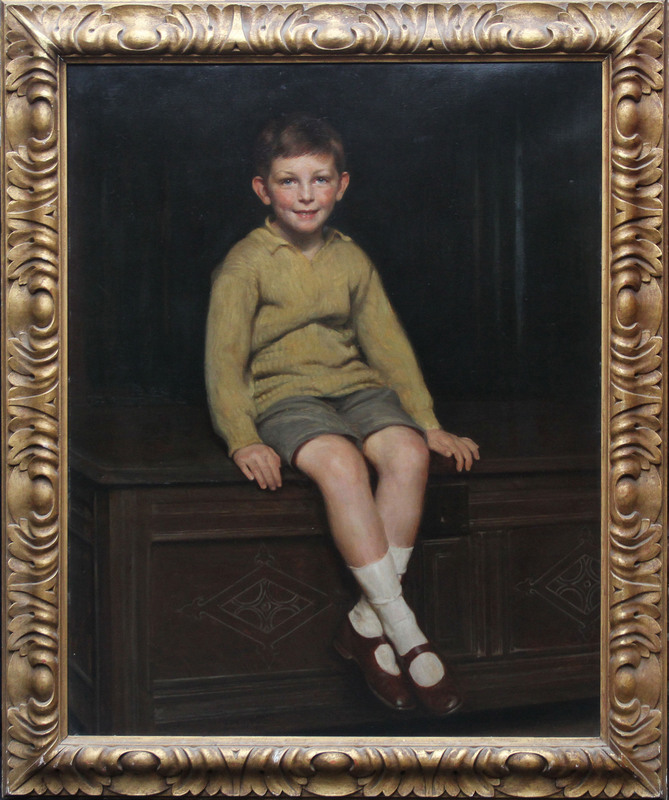 This oil painting portrait is of a young boy, John Rew, sat on an ornate blanket box against a wood panelled room suggesting quite a grand home. He is pictured in his shorts and mustard jumper and looks about 8 years old. Signed lower right. Housed in a fine carved giltwood frame, 52 inches by 42 inches and in good condition.